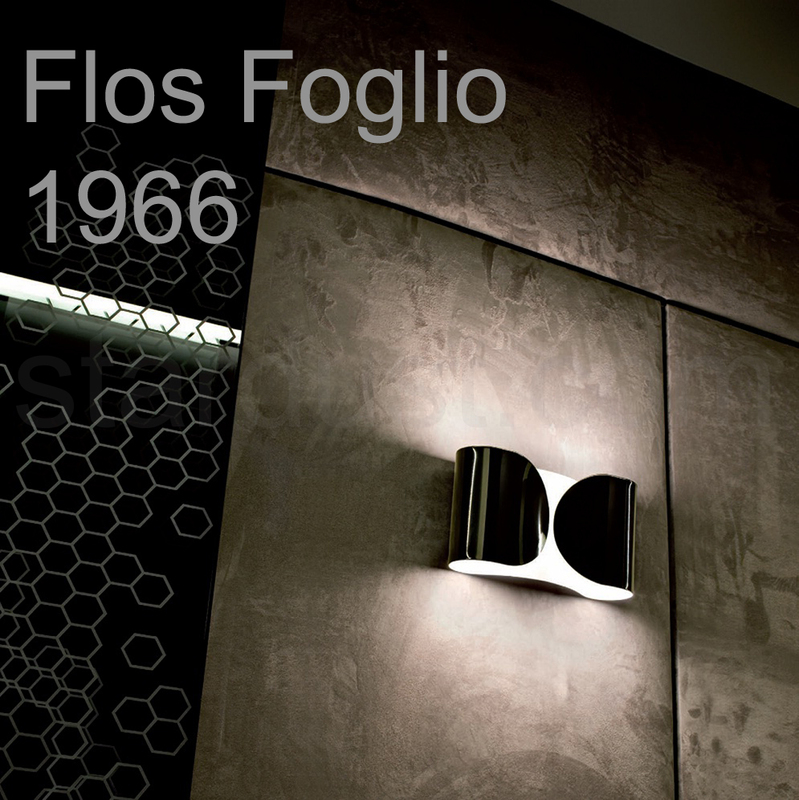 FOGLIO SCONCE FLOS - A real modern wall design light classic! Flos Foglio Lamp: one of our all-time favorite wall sconce lamps; a classic icon of Italian lighting design. Foglio is all about simplicity, serenity and structural clarity. Foglio was designed by notable Italian designer Tobia Scarpa in 1966. Tobia Scarpa named it "Foglio" which is Italian for "Sheet". According to Tobia Scarpa, a gently folded sheet of paper provided the inspiration for the design of this beautiful wall lamp. 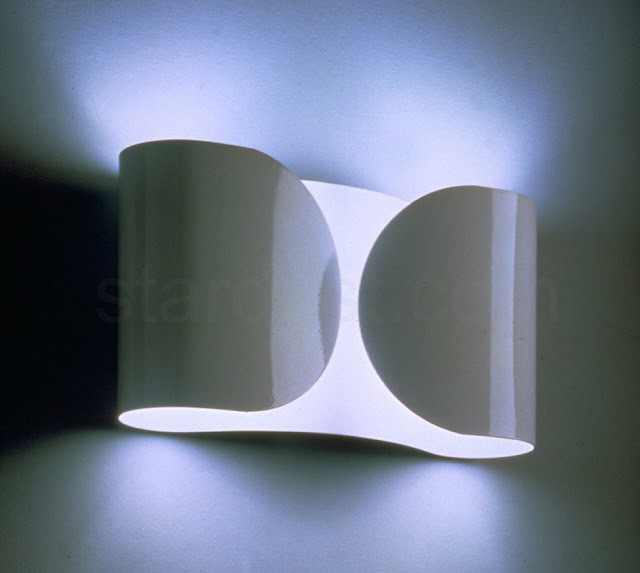 The super stylish Foglio wall light fixture, available from design purveyor Stardust, is gracefully folded around the light source which turns Foglio into a unique sculptural light object. Its light bulbs are sheltered behind the pressed steel shades. Thanks to it's compact dimensions (its depth is only 3.8"); Foglio is perfect for use as an entryway or hallway wall lamp. It looks equally stunning when used as a bedroom light fixture. 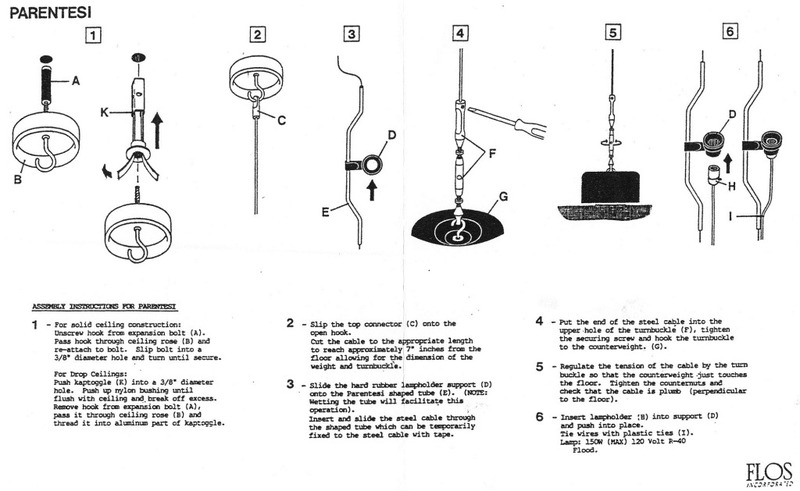 Foglio provides both direct and diffused illumination. When used with a dimmer, Foglio creates a wonderful atmosphere in any interior space. Foglio is a wall lamp that never goes out of style. Its understated simplicity will provides the perfect setting for many years to come. 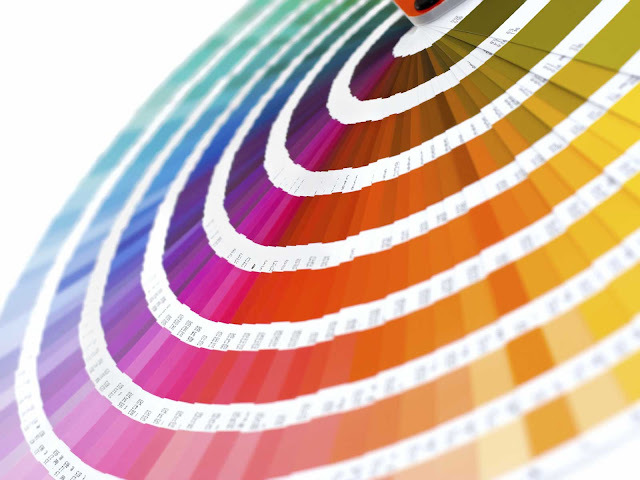 Foglio is UL listed and ADA compliant; can be used for commercial and residential applications. 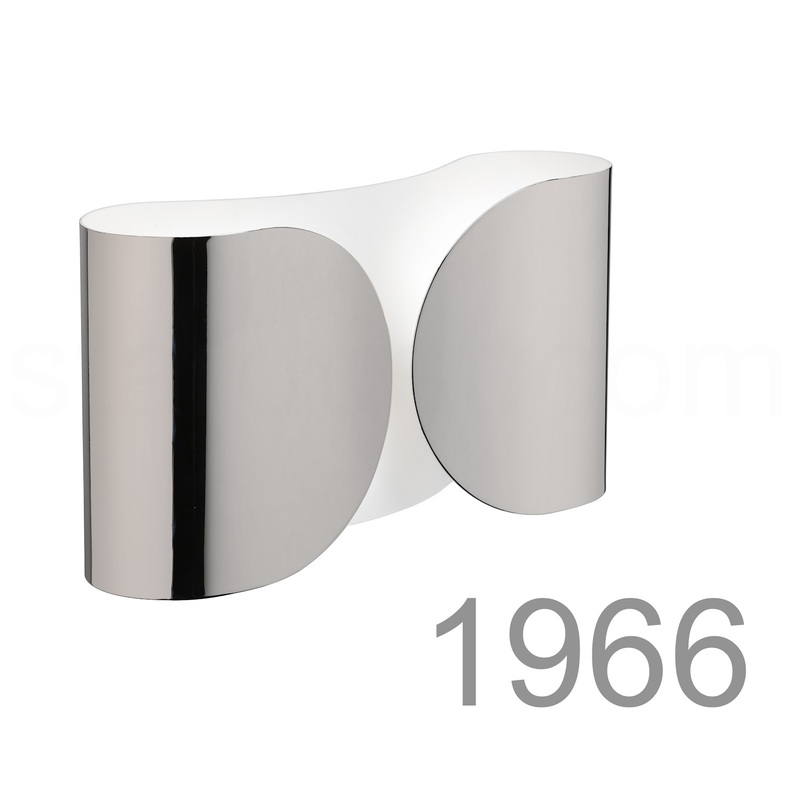 Foglio is available in two finish: white or nickel plated steel. 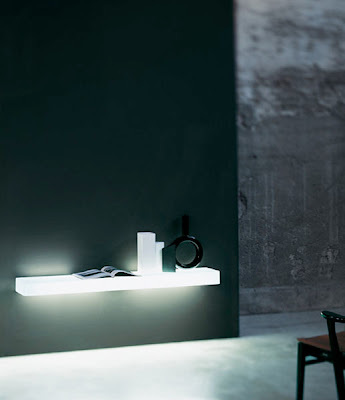 The modern Italian lighting collection from Flos is the standard for architects and interior design professionals. The modern and contemporary design collection sets the perfect tone with our modern furniture collection. Need design ideas for your modern home? Look no further! Stardust Modern Design offers a wide array of modern lighting for the home including stunning chandeliers, modern floor lamps, stylish table lamps, contemporary ceiling lights and designer wall sconces.